As we begin to age, our body and skin naturally begins to go through changes. Our skin begins to breakdown, lose volume, and wrinkle; which ages us-sometimes prematurely-and causes us to look older. But, there are ways to help turn back time and keep your skin looking healthy and radiant! At Dermatologic Surgery Center in Medina, OH. we have procedures that we can use to combat aging and have people wondering what the secret to your ‘eternal youth’ is. So, stop by our clinic today and let us help you begin your aesthetic journey. What treatments address my concerns? We have found these treatments to be the most effective for people within this age group. Clients who receive these procedures have often seen significant results in the improvement of their appearance. These treatments each address a different area of concern within the face. From BOTOX to Dermal Fillers, these procedures target a specific area. They can help reduce the appearance of wrinkles, restore volume, or reveal a new layer of skin. To help you figure out which treatment would work best for you, schedule a consultation with us! During your consultation, our staff will examine your face, figure out the areas that you want to address, answer any questions, and then create a treatment plan for you. BOTOX: Uses botulinum toxin to stop the repetitive muscle movement in the face that cause excessive wrinkling. This can be used to reduce the wrinkles that occur because of muscle movement. Dysport: The counterpart to BOTOX is also used to stop the excessive muscle movement. However, it offers more range of movement within the face, while still reducing the appearance of wrinkles. 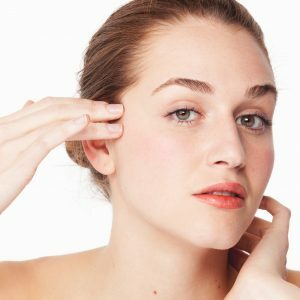 Microneedling: Microneedling can be used to reveal a new layer of skin underneath a damaged upper level. It creates micro-injuries that trigger the healing factors and rejuvenate collagen production. 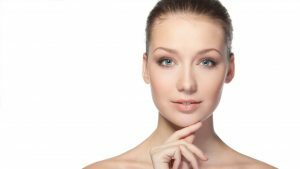 Dermal Fillers: These are a series of injectables that restore the volume loss within the face, especially the cheeks, lips, etc. It makes the face look taunt, firm and plump reminiscent of its youth. If you would like to see what maintenance and preventative treatments are best, schedule a consultation with us. At Dermatologic Surgery Center in Medina, OH. we pride ourselves to giving the best in aesthetics treatments. Our clinic also uses state of the art technology to deliver the best results for our clients. So, don’t wait anymore and come in today, we can help you get the aesthetic treatments you need!